High efficiency output: rated discharge is 2～5C, continuous big current up to 10C, impulse discharge(10S) can reach 20C. Good performance at high temperature:When the outside temperature is high at 65℃ which internal temperature as high as 95℃, battery ensure discharge normally. When temperature is low at -20℃, it can start the motorcycle normally too. Even the battery internal or external damaged, the battery will not burning, no explosion, security is good. Excellent cycle life, the retain capacity is up to 80% after 1500 cycles. The volume is 2/3 of lead acid battery when in same capacity, the weight is 1/3 of lead-acid batteries . Fast charge function :It can sustain high current charge and discharge at 2C. 1,slight bending of electrodes can be accepted. 2,the increment of thickness can be accepted. 3, internal defects can be exposed. 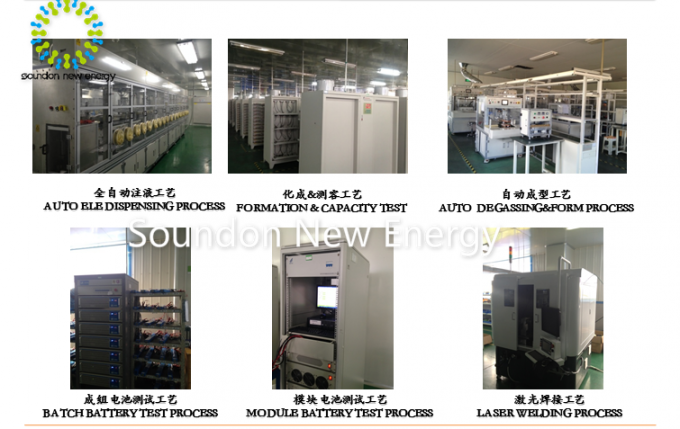 1.Soundon industrial park covering an area of 0.2 million square meters , With a registered capital of $155 million and an investment of $128 million, mainly for battery cathode materials, high capacity lithium ion batteries and electric vehicles. 2. 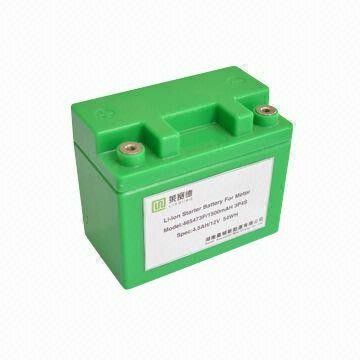 The capacity of lithium battery can reach 2,160 MWH million Ah, high quality lithium battery cathode material (Li-NiCoMn, Li-Mn) up to 30,000 tons. 3.company Quality Certification : Soundon possess a full-scale produce qualification, it passed ISO9000-2008 , ISO 140001-2004,ISO /TS 16949 certification.